Delta Air Lines and partners Air France-KLM and Virgin Atlantic announced a bold business deal Thursday that the carriers hope will strengthen their position in the lucrative trans-Atlantic market. Delta will buy a 10% stake in Air France-KLM for €375 million ($438 million), deepening an already entrenched partnership between the companies. Meanwhile, Air France-KLM is buying a 31% stake in Virgin Atlantic for £220 million ($287 million). The airlines hope the move paves the way for a formidable joint-venture alliance between the four airlines. Delta already owns a 49% stake in Virgin Atlantic in a deal that closed in 2013, allowing those two carriers to launch a joint-venture of their own. The partnership lets Delta and Virgin Atlantic to coordinate flights and fares, helping them against rivals in the trans-Atlantic market. But, until Thursday’s announcement, Air France and KLM were not closely aligned with Virgin Atlantic. Air France and KLM merged in 2003 to become a single company (Air France-KLM), though each continues to operate under its own brand. In selling part of his stake in the company, Virgin Group tycoon Richard Branson said the move would help the airline he founded in 1984 to better compete with British Airways and other rivals flying across the Atlantic. Specific passenger-facing details weren’t spelled out, but the deals could greatly expand the reach of the carriers via connections and their share resources. On the connecting front, the airlines could — for example — sell a single-ticket itinerary where a passenger flies KLM from Amsterdam to London to catch a Virgin Atlantic flight to Las Vegas. Such a scenario would match the set-up already in place between Delta and Virgin Atlantic and between Delta and Air France-KLM. Such an alliance could also allow the carriers to pool their slots at coordinate schedules at crowded airports, notably at London Heathrow, where Virgin Atlantic has a big presence. Another angle to watch: Delta, Air France and KLM are all key members of the SkyTeam frequent-flier alliance, while Virgin Atlantic is not. There already had been speculation Virgin Atlantic’s closer relationship with Delta might lead it to join SkyTeam. Now, if Virgin Atlantic does end up in cahoots with Air France and KLM, that chatter is only likely to increase. Ahead of such speculation, the deals announced on Thursday still must win shareholder and regulatory approval. If OK’d, Branson’s Virgin Group would retain a 20% stake and the chairmanship of Virgin Atlantic, according to that airline. “Virgin Atlantic would retain its independence as a UK airline with a UK operating certificate, and will continue to fly under the Virgin brand,” Virgin Atlantic said in a statement, appearing to try to address concerns about whether the carrier would remain in compliance with the United Kingdom’s laws on foreign ownership of airlines. Beyond Virgin Atlantic, the strategic business deals announced by Delta and its partners didn’t end with the trans-Atlantic development. In addition to Delta’s 10% stake in Air France-KLM, Shanghai-based China Eastern – also a partner of Delta – said it also would take a 10% in Air France-KLM. “The strategic, commercial and equity investment of these partnerships will position Air France-KLM as the European pillar of the leading global airline network,” Air France-KLM said in a statement announcing the deal. The deals come as the involved parties faces intense competition both from aggressively expanding low-cost carriers (such as Norwegian Air and WOW) and from high-end Gulf carriers (such as Emirates and Qatar Airways). Combining forces to offer coordinate schedules and fares — and to offer more connecting options — would theoretically strengthen the hand of Delta, Virgin Atlantic and Air France-KLM against those foes. The moves also underscore a recent trend in the airline industry where airlines buy equity stakes in partner carriers. Qatar Airways, for example, is now the single largest sharehold in the parent company of British Airways. 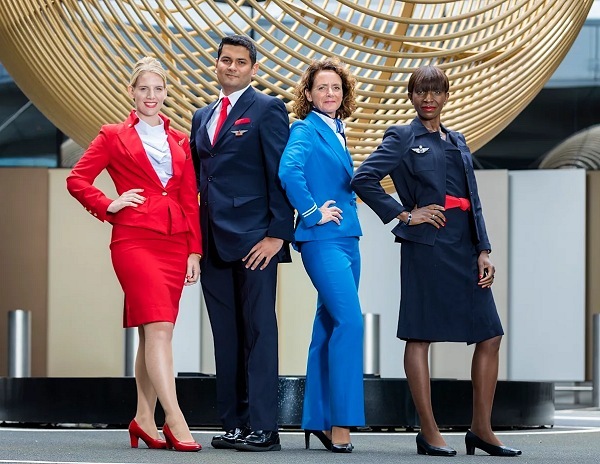 Each are members of the oneworld frequent-flier alliance and now offer reciprocal flight benefits and codeshare connections on certain routes. Delta also has taken stakes in several of its key partners. Aside from Virgin Atlantic, Delta recently bought its own stake in China Eastern and has similar deals with Aeromexico and Brazilian carrier GOL. Still, the strategy has risks. Abu Dhabi-based Etihad has been one of the most aggressive in pursuing so-called “equity partnerships,” but not all have worked out. Etihad’s sizable investment in Italy’s perennially troubled Alitalia failed to stem losses at that airline, which has since filed for bankruptcy protection (again). To read more at USA Today, click here.